Directions: DO NOT EXCEED RECOMMENDED DAILY INTAKE. USE ONLY AS DIRECTED. 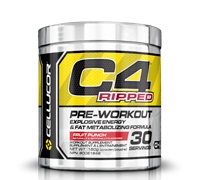 Take one serving (1 scoop) of C4® Ripped, mixed with 6 fl. oz. of water 20-30 minutes before training. Once tolerance has been assessed and you are looking for an additional boost of energy, take one additional serving (1 scoop) with serving taken before training. DO NOT EXCEED 2 SCOOPS PER DAY. 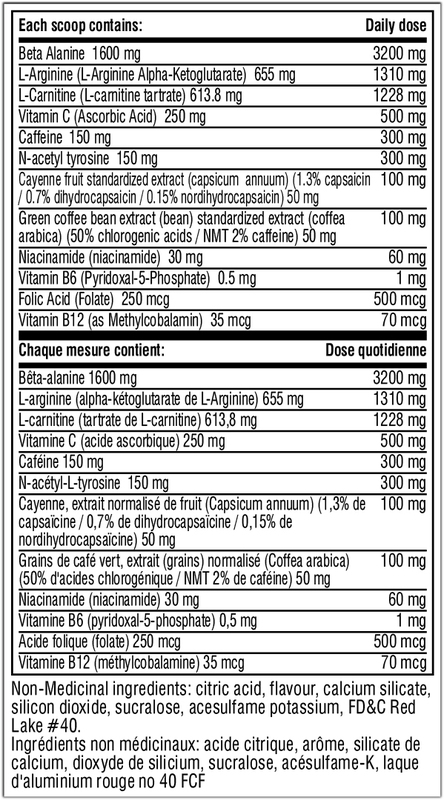 DO NOT USE THIS PRODUCT WITHIN 6 HOURS OF INGESTING ANY OTHER SOURCE OF CAFFEINE OR OTHER STIMULANTS. During your workout, it is recommended that you drink plenty of water or performance beverage such as Cellucor Alpha Amino® to stay hydrated. Some individuals may experience a harmless tingling sensation, which is attributed to beta alanine.